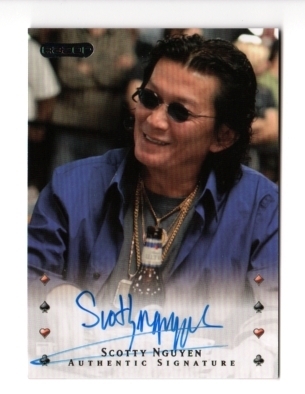 Razor poker certified autograph card of superstar Scotty Nguyen, winner of the 1998 World Series of Poker main event. ONLY ONE AVAILABLE FOR SALE. With certificate of authenticity from AutographsForSale.com.